Mother’s Day, Graduation, or just a backyard summer barbeque are all great times to enjoy a cocktail! I love trying new flavors and thought I would share a couple of recipes I got in my inbox this week. 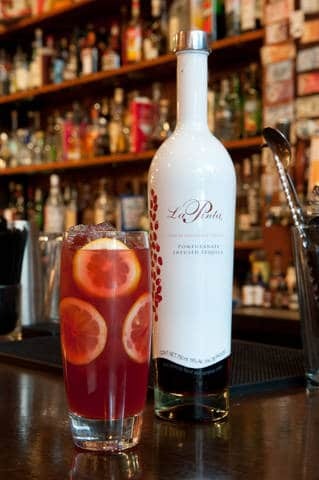 La Pinta is a pomegranate liquor made with tequila that can be enjoyed straight or mixed into blended drinks like the ones below! Serve on the rocks with an orange or lime garnish. Pour all ingredients into a highball glass on ice, stir and garnish with a lime wedge. If you would like to learn more about La Pinta or find a retailer near you just check out their homepage or like them on Facebook. Disclaimer: This information was provided to me by representatives of La Pinta with permission to share. I received no compensation for sharing this information with you.